Hosting full production cabaret spectaculars and live shows, private functions and corporate events – Viva Blackpool is your number one choice for a great night out! 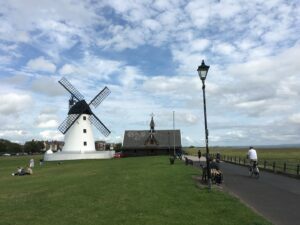 It’s located on Blackpool Promenade right next door to Blackpool Tower, opposite Festival House. The multi-purpose venue opened in 2012. Viva Blackpool create, produce and perform a number of fabulous in-house shows. Take your pick from these great performances, where you can enjoy a full night out including a great meal. Brand new for 2019. Last year Wayne brought his flawless performance as George Michael to Viva Blackpool, with rave reviews Wayne will be returning with Freedom! ‘19 featuring classic Wham and George Michael hits such as “Club Tropicana”, “Wake Me Up Before You Go Go”, “I’m Your Man”, “Faith”, “Father Figure”, “Fast Love” and many more. Direct from London’s O2, the Las Vegas Elvis Icon Award Winning ‘On Tour With Elvis Show’. Michael King’s ‘On Tour With Elvis’ is without doubt the UK’s authoritative touring Elvis show. Authenticity is of paramount importance in the show from the fantastic arrangements performed by what must be the best set of Elvis musicians to the authentic jumpsuits made for Michael in the USA from the exact same original patterns used for Elvis’ own stage wear. Michael King’s ‘On Tour With Elvis’ is without question one of the most powerful and authentic Elvis shows ever seen. Regarded by many in the business as the premier live Elvis tribute show in the UK. Memories will come flooding back as one of the best known double acts in the business take to the Viva stage and perform a masterclass in comedy writing, timing and talent. Supporting them this April, the hilarious Leye D Johns and the Viva Showgirls! Tommy and Bobby have carved their careers from decades of performances in all different types of venues. Their efforts paid off when they were at the top of their game in the 80s when no one could touch them. They had a hit TV series on mainstream television, Summer Specials, Christmas Specials, everyone wanted them, everyone loved them and they were everywhere you looked. Viva… Sounds of the 80s starring THE FIZZ! It’s a night of pure unadulterated POP as icons of the 80’s era Cheryl Baker, Mike Nolan and Jay Aston gather as The Fizz performing live on stage. Get ready to party, dance and sing-a-long to the music they made as ‘Bucks Fizz’ defining a generation as they sing live on stage on 3rd May 2019. It’s Only An Evening With Ray Parlour! Join us for an evening with the “Romford Pele”, former Arsenal, Middlesbrough, Hull City player Ray Parlour. All tickets include a hot individual buffet platter served to your table during the evening. VIP tickets allow early access plus the chance to meet Ray and pose for a photograph. A raffle and memorabilia auction will also take place. With comedy from the hilarious Mr Gary Marshall and much more. The Bohemians, established in 1996, re-enact the glory days of Queen including the Craziness of the 70’s and the Magic of the 80’s proving themselves to be the most dynamic and exciting Queen Tribute Band currently touring. They’ve performed all over the UK, Europe and the World at football stadiums, festivals, theatres and other prestigious venues. The Bohemians in their majestic magnificence receive standing ovations in response to their electrifying representation of a Queen Live Concert. Direct from the hit Hollywood Film “The Commitments”, the man who has fronted the touring band for the last ten years, we are proud to present DAVE FINNEGAN’S COMMITMENTS. Dave Finnegan has performed alongside such legendary artists as James Brown, Wilson Pickett, Edwin Starr, Steve The Colonel‚ Cropper, Dennis Edwards (The Temptations), BB King, Sam Moore, Dan Ackroyd, Alexander O Neal and many, many more. It was Sam Moore who questioned, “how can a little white guy have a soul and a voice that’s so black?”. Now with his NEW SENSATIONAL SHOW & his own 8 PIECE BAND behind him performing all the hits from the film and much, much, more! Returning to the Viva Stage Sam Bailey, one of the most talented performers in the music business, joins us right here at Viva Blackpool for a night in concert with her brilliant live band! Sam will be stepping on stage to perform some of her most beloved covers that first blew audiences away back when she was on The X Factor. Plus tracks from her most recent album success, Sing My Heart Out. New to Viva for 2019! Voted Best International Folk Group of 2018. A traditional Irish folk and ballad band, The Kilkennys are noted for their dynamic arrangements, energetic performances and charismatic rapport with audiences across the globe. Picking up the mantle left by acts such as The Dubliners and The Clancy Brothers, the 4 piece group continue to conquer tour circuits in Europe and the U.S. In the past years The Kilkennys have shared the stage with renowned Irish artists such as Shane McGowan, Sharron Shannon and Finbar Furey. REGULAR SHOWS AT VIVA BLACKPOOL! All You Need Is Love – The Discovery Of Beatlemania – with 15% off! Get your ticket to ride and Let the cast of Viva Blackpool take you on a Magical mystery tour through the ages of one of the world’s most iconic bands! All you need is love is nostalgic trip down memory lane as we get inside the real story of Beatle Mania. Celebrating the life and careers of John, Paul, Ringo and George, Viva takes you on an incredible journey as they tell the story of how four ambitious Liverpool lads rose from their humble backgrounds to the dizzy heights of stardom! Call the Box Office Team on 01253 297297 and quote our discount code VIP02VISITFC to get 15% off tickets (extras not discountable). It’s that simple! Viva! The Vegas Variety Show – with 15% off! It’s Blackpool’s Biggest & Best show night out. A Vegas style production cabaret featuring a whole night of music, comedy and dance! Viva’s very own resident show – and our most popular! With something for everyone – so no worries about individual taste or pleasing a big group. This is an amazing Vegas style production – with a variety of music from show numbers, to all kinds of hit music from across the decades, all performed with sequins, feathers and class. You’ll enjoy plenty of laughs, music and more in a fast moving show – starring our hilarious host Leye D Johns, resident Viva Showgirls dancers and our amazing vocalists. There’s fantastic lighting, sound and production visuals including a massive LED screen and lasers. It’s a real ‘wow’ to your night and plenty to enjoy. It’s a full night out, with a show lasting for around 2 and a half hours with an interval. Your whole evening is sorted! All are welcome, young and old. Though the show is not crude or ‘blue’, some content may be of an adult nature. Junior tickets are booked at the parent or guardians sole discretion. Viva Voulez Vous! – with 15% off! This brand new show for 2018 has been produced by the Viva production team. It’s performed by the exceptionally talented singing and Dancing Queens of the Viva cast. Join us as we Have A Dream of the Swedish pop quartet that swept the globe. More than a tribute, this is a one of a kind experience. There’s fantastic lighting, sound and production visuals including a massive LED screen and lasers. It’s a real ‘wow’ to your night and plenty to enjoy. The show’s full night out, lasting around 2 and a half hours with an interval. Your whole evening is sorted! All are welcome, young and old, though the show is not crude or ‘blue’ some content may be of an adult nature and Junior tickets are booked at the parent or guardians sole discretion. The Jersey Beats – Oh What A Nite! – with 15% off! A sensational show celebrating the music of Frankie Valli & The Four Seasons! Celebrating it’s 6th season here in Blackpool. This show is our most popular midweek production and appeals to a wide range of audiences and ages. It’s music with a broad appeal including ‘Sherry’, ‘Beggin’, ‘Grease’ and ‘My Eyes Adored you’. PLUS more music from the era – so no worries about individual taste or pleasing a big group. Performed by an amazing quartet of vocalists – Matt Andrews (Frankie), Johnny O’Connor (Nick), Toby Beal (Tommy) and Michael Cosgrove (Bob). The show appears with a fabulous troupe of showgirl dancers and full production including video. Enjoy plenty of comedy, music and moves in a fast moving show. Starring our hilarious host Leye D Johns and resident Viva Showgirls dancers. There’s fantastic lighting, sound and production visuals including a massive LED screen and lasers – giving a real ‘wow’ to your night and plenty to enjoy. It’s a full night out, with a show lasting for around 2 and a half hours with an interval – your whole evening is sorted! Viva Comedy Club – with 15% off! Viva Blackpool presents the best in Stand-Up Comedy. Join your host for the night, Matt Davenport, as he presents Blackpool’s best comedy club! Viva Comedy Club features hysterical opening support and headline acts – guaranteed to knock your socks off! Viva prides themselves on bringing the best best that the UK stand-up comedy scene has to offer. There may be some comics you haven’t heard of, but you certainly won’t forget them! High Jinx Magic, Illusion & Circus Show – with 15% off! High Jinx Magic, Illusion & Circus Show at Viva Blackpool – with 15% off! Returning to Viva Blackpool for 2018, Michael Jordan’s High Jinx Magic, Illusion and Circus Show. Starring the award winning Magician Michael Jordan who has appeared on Penn & Teller: Fool Us, as well as various other TV programmes and adverts. Joining Michael on stage are the glamorous High Jinx Dancers who bring dazzling music and dance to the stage between Illusions. It’s a show you can’t afford to miss, but can afford to see! Showtime Afternoons – with 15% off! Join us at the glitzy Viva, Blackpool’s very own Vegas show venue for an afternoon of entertainment and variety! We’ll be showing our Vegas style production – with a variety of music from show numbers, to all kinds of hit music from across the decades. All performed with sequins, feathers and class. You’ll enjoy plenty of laughs, music and more in a fast moving show. Starring our hilarious host Leye D Johns, resident Viva Showgirls dancers and our amazing vocalists. The dance floor is open throughout the show and after, so you can work off that lunch. With a warm welcome from the very start and rounding off with some ever-popular cash bingo. It’s a wonderful afternoon full of fun, humour, song & dance. Joe Longthorne’s Music Hall Matinees – with 15% off! Variety is the spice of life, and Joe Longthorne headlines a series of monthly afternoon shows with some special guests. The Joe Longthorne Show – with 15% off! Joe Longthorne stars in his 31st Summer Season show presenting a night of timeless music. Back by popular demand ‘The Singers Singer’ Joe headlines his 31st summer season. In fine form now and feeling great, this year also sees him celebrating 50 years in show business. Featuring a live 5-piece band, expect a night of non-stop nostalgia as Joe takes us back in time with some sensational timeless classics. Supporting Joe on the night is the outrageous Leye D Johns, and the cast of Viva plus special guest comedian George King. Dates in 2019: Sundays 21 April and 28 July. August 4, 11, 18 & 25. September 1, 8, 15, 22, 29. October 6, 13, 20, 27. 3 November and 22 December. Roy Chubby Brown – with 15% off! He’s the UK’s most outrageous comedian – telling it as it is in his rudest and most controversial show to date. Roy Chubby Brown returns to Viva for his 5th consecutive season. As Blackpool as ‘Fish & Chips’ and ‘Blackpool Rock’, come and see Chubby at his finest – up close and personal and packing in the crowds. If you are easily offended – please stay away. This is not like our usual ‘Vegas’ production shows, this is a no holds barred stand-up comedy show from one of the most outrageous comics Britain has ever seen. Definitely not for the faint hearted this show is too rude for TV! Politically incorrect! Roy’s special guest band perform for the first half of the show, with Roy taking to the stage for the whole second half. It’s a full night out, with a show lasting for around 2 and a half hours with an interval – your whole evening is sorted! VIVA Weddings are a Beautifully Unique way of celebrating your Big Day. We love to give a wow factor, a fantastic first impression and a sense of amazement to the detail and care we put into your day. The VIVA Cabaret Theatre which holds 700 Guests. Our wedding breakfast menu consists of a diverse choice which can be adapted to your needs if you were thinking of something in particular. We also love to boast the fact that your wedding photos will spectacular with Blackpool’s Main Seafront area, The Comedy Carpet and Blackpool Tower right outside our front doors. You will be guaranteed pictures worthy of the lifetime memory. Please give us a call today, we endeavor to answer any questions or queries you may have.  Check out the Local Jobs section to find out more. Get Ready To Have The Time Of Your Life! Viva Blackpool is all about having a great night out with family and friends whilst enjoying a great show! And it's no ordinary show either... join us as your host, Viva's very own Leye D Johns presents Blackpool's Biggest and Best Show night out featuring talented vocalists and dancers in a fast moving 3 hour cabaret production style show right in front of your eyes in our unique show venue. It's an award winning night out and has featured on ITV's prime time show 'Ant & Dec's Saturday Night Takeaway', been Blackpool's No.1 Tourist Attraction on TripAdvisor and week after week get's incredible feedback from the customers who come see us! VIVA… The Venue! With our main entrance on Church Street Blackpool, and side entrances on Blackpool Promenade and Bank Hey Street – VIVA is located right in the centre of Blackpool nestled amongst the brand new promenade and Tower headlands, which is set to host concerts and events throughout the year, and in close vicinity to the fresh new ‘St Johns Square’, the ‘Brilliance’ light show feature on Birley Street, a brand new Tourist Information Centre and Registry Office in ‘Festival House’ and to top it all off, we’re right next door to the re-vitalized Blackpool Tower! It’s the ideal venue in the ideal location for shows, events and for families to come and enjoy entertainment during the day time too. Our first floor venue is accessible by escalator, lift or stairs via our central hallway which also houses our booking office and information desk. The main show theatre is accessed via it’s own mini-reception area where you can get a group photo, or an after show photo with the cast and our showgirls – so you can take away memories of your amazing evening with us. The main ‘Showbar Theatre’ itself is a huge open space with a dedicated bar area cabaret seating up to 632 people with uninterrupted views of the stage from anywhere in the room. We'd like to wish our very own 'Piano Man', Joe Longthornes Musical Director - Mr Andy Mudd a very Happy Birthday! From all the team here at Viva have a great day! 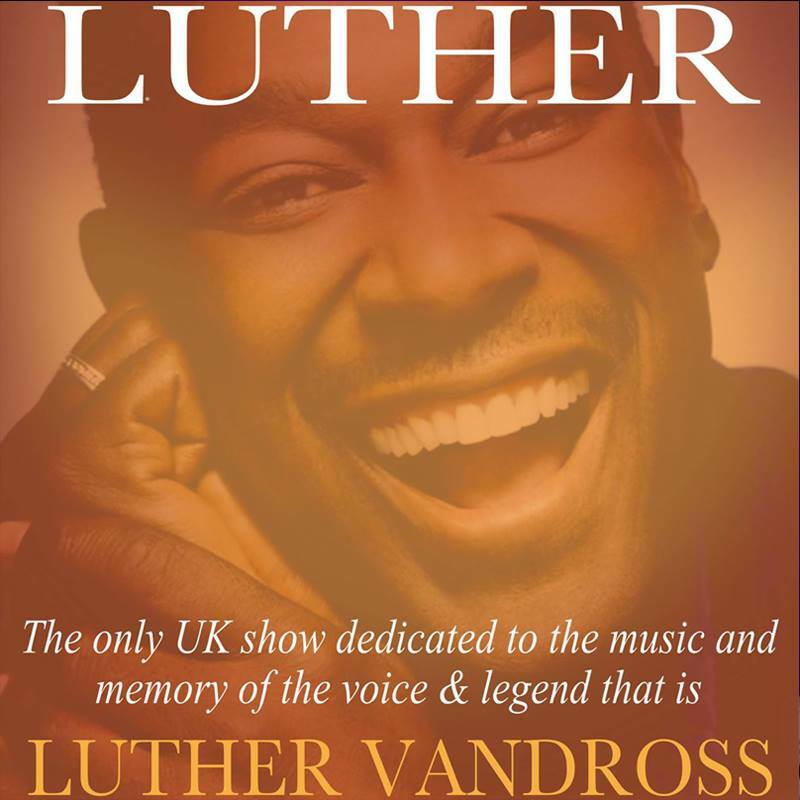 Luther UK – The only live UK show dedicated to the music and memory of Luther Vandross!